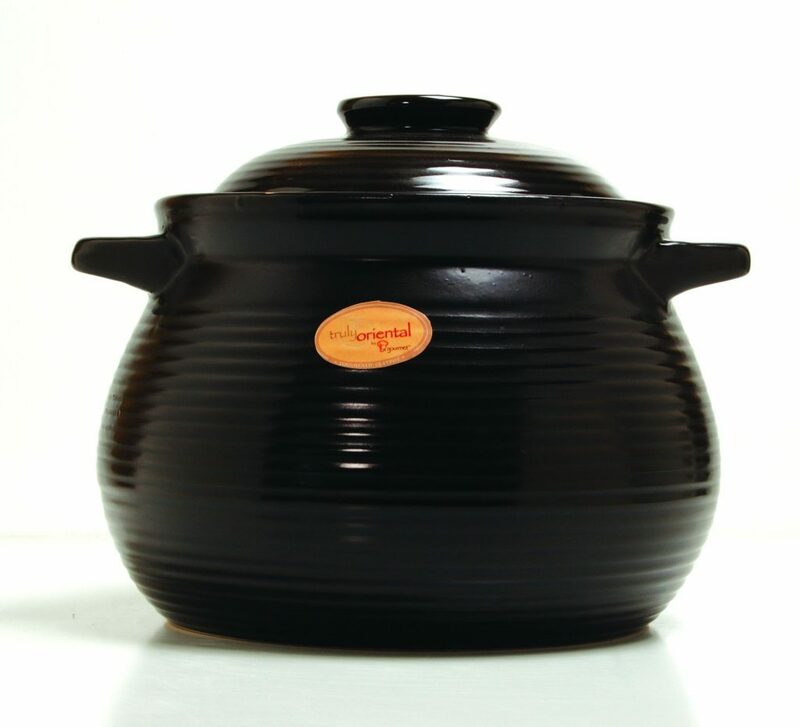 Truly Oriental (T.O) Claypot is crafted using traditional ceramic artform and modern high technology. T.O Claypot has been fired at the high temperature of 1300 C which result in a durable claypot that is toughened to withstand extreme temperature changes from high heat to sudden cold. -Fill water in pot before placing pot on stove. Always use medium flame to heat up. Once heated, use low flame to cook in order to bring out the best flavor in cooking. -While using an Induction Cooker always use medium temperature to heat up and low temperature to cook. -While using an Induction Cooker NEVER heat an empty pot as this may damage the pot. -Avoid dry-frying, deep frying, stir frying and roasting if using on induction cooker.